Midwestern Gothic staffer Katie Marenghi sat down with acclaimed poet Matt Mason to discuss disarming readers with humor, poetry activism, the literary culture of Omaha, and more. Matt Mason: Well, I grew up in Omaha, so this is home. After high school, I left for college in California as that’s what Midwesterners do… we assume someplace else is better until we experience it and realize, oh, what we had was pretty good, actually. MG: What do you think makes the Midwest unique? MM: What ultimately brings me back is that this is home and this is a great place to live. And you want to make a difference in the artistic community? You can. We aren’t as codified as other parts of the country, we’re open to new blood starting things. As a result, Omaha is an amazing place with both great opportunities for someone who puts in the work and a low cost of living to help while that person gets themselves started. MG: Your most recent book, The Baby That Ate Cincinnati, focuses largely on the theme of parenthood. How has being a parent changed your writing? MM: I write about what’s around me and, well, that’s what I’ve been immersed in. The biggest part is that I never thought I would be a parent, so while growing up I wasn’t making plans or saying things like, “When I’m a dad, I’m going to do this…” so every thing is a surprise. Pack your daily life with surprises and what do you get? A lot to write about. MG: Even though your poetry is often humorous, you explore a lot of very complex issues in your work. How do you think humor helps to work through deep thoughts? MM: I love humor because it helps draw people in, disarms them, they come closer to you and don’t notice the mallet you’re holding behind your back until it’s too late. MG: Some of your work involves slam and performance poetry, including your involvement with Louder Than a Bomb: Omaha, but you’re also the author of numerous chapbooks and two full length books of poetry. Do you think about performance when you’re writing to publish? Are your poems intended to be both read and spoken aloud? MM: I take pride in having published most of the poems I use in poetry slams, so they aren’t just for one medium. My favorite poems are ones that sound good at a reading and then open up even more when you take the book home and explore it on your own time. And I don’t think so much about performance when I’m writing but I do think about the voice the poem hopes to be expressed in and work hard to craft the writing so that a reader will get that voice whether they hear me read it or they read it themselves. That’s the goal, at least. MG: You’re known as not only a poet, but also a poetry activist. Why do you think it’s important to spread poetry in the world today? MM: In general, audiences are more inclined to watch The King of Queens reruns than to go to a poetry reading, so we all have work to do. That doesn’t mean we need to sacrifice our lives and start a million poetry events, but it does mean that we who have had success owe it to those following to help make this road easier, to provide for others what we wished had been there as we made our way. To that end, I’ve helped publish people’s chapbooks, I’ve started small reading series, I’ve gone into high schools to show students living poets. What we do might be small, but we can make big differences in making the poetry world better and more appreciated. MG: As editor of the Poetry Menu, a website that publicizes poetry events in your area, you’re probably the right person to answer this question: how would you describe the literary scene in Omaha? MM: It is spectacular. We have a wealth of diverse events, we have great artists coming up and we have opportunities for artists here. MG: What’s next for you? MM: Editing. I’ve been writing steady, a poem a week, but am about three years behind on editing those poor, flightless first drafts into something stronger. I’ve let myself fall behind, so it’s time to get to work. Matt Mason has won a Pushcart Prize and two Nebraska Book Awards (for Poetry in 2007 and Anthology in 2006); organized and run poetry programming with the U.S. Department of State in Kathmandu, Nepal and Minsk, Belarus; and been on five teams at the National Poetry Slam. He is executive director of the Nebraska Writers Collective, has served as board president of the Nebraska Center for the Book, and is the Nebraska State Coordinator for Poetry Out Loud, a Poetry Foundation/NEA program. 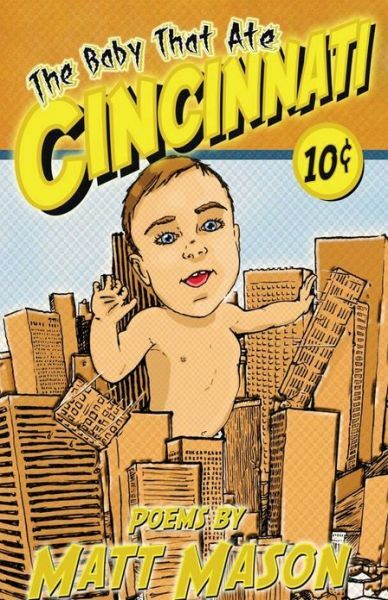 His 2nd full length poetry book, The Baby That Ate Cincinnati, was released by Stephen F. Austin University Press in 2013. 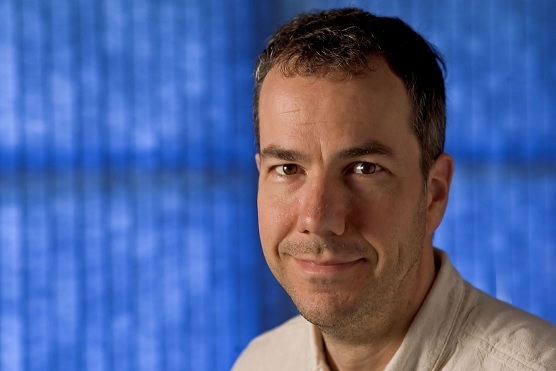 Matt lives in Omaha with his wife, the poet Sarah McKinstry-Brown, and daughters Sophia and Lucia.